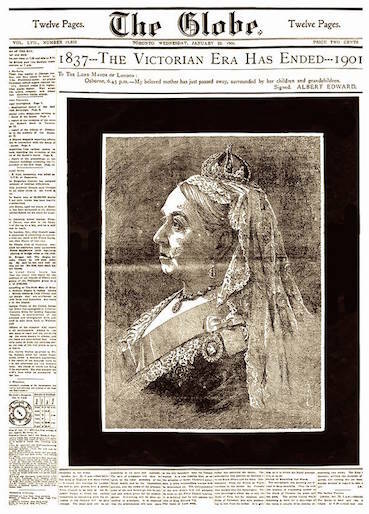 Verse for Victoria Day, composed by Jean Blewett upon news of the monarch's death. This version is taken from The Cornflower and Other Poems (Toronto: Briggs, 1906). In the old Abbey on that soft June day. Whereon the heavy golden circlet lay. "Be strong, O Queen; be strong as thou art fair!" A virgin, white of soul and unafraid. A people loyal to the core, and strong. And loving well her sweetness and her youth. Hath sat with grace these sixty years and more. For grand achievement and for noble aim. To-day the crown is laid from off her brow. With tenderness for all beneath her rule. Could be so fearless and so powerful! Hath been their wealth, their safeguard, and their pride. A writer, ghostwriter, écrivain public, literary historian and bibliophile, I'm the author of Character Parts: Who's Really Who in CanLit (Knopf, 2003), and A Gentleman of Pleasure: One Life of John Glassco, Poet, Translator, Memoirist and Pornographer (McGill-Queen's, 2011; shortlisted for the Gabrielle Roy Prize). I've edited over a dozen books, including The Heart Accepts It All: Selected Letters of John Glassco (Véhicule, 2013) and George Fetherling's The Writing Life: Journals 1975-2005 (McGill-Queen's, 2013). I currently serve as series editor for Ricochet Books and am a contributing editor for Canadian Notes & Queries. My latest book is The Dusty Bookcase (Biblioasis, 2017), a collection of revised and expanded reviews first published here and elsewhere. The DUSTY BOOKCASE - THE BOOK! Reviewed by Barry Gardner: CAROL O’CONNELL – The Man Who Cast Two Shadows. WHAT DO THESE 70 ILLUSTRATIONS HAVE IN COMMON? A.J.M. Smith's poem, "Good Friday"
Dunsany's "Episodes from The Second Book of Wonder"